Why doesn’t DxO Optics Pro support the Fuji X-Pro 1? I received an answer from DXO why they do not support Fuji X cameras. Too bad since they make a nice product. I still use DXO Viewpoint and DXO Film Pack, but only after I have already RAW converted with C1. 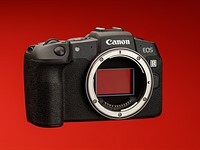 "...To register color images, digital camera sensors are equipped with a filter matrix. The vast majority of cameras use the so-called Bayer matrix, which is composed of 50% green filters (green being the color to which the human eye is most sensitive), 25% red filters, and 25% blue filters. Placed in front of the photosites, this matrix creates rows of alternating blue/green and red/green pixels. The sensor in Fuji X-Pro 1, X-E1, X10, XF1, and X-S1 cameras does not use a Bayer matrix, but rather a very different matrix whose pixels are arranged in rows of three colors — a technology inspired by the naturally irregular distribution of silver halide crystals on film. As DxO Optics Pro is not currently able to process RAW files from Fuji X-Pro 1, E1-X, X10, XF1, X100s and X20 and XS cameras, DxO Labs has chosen instead to focus — as it always has — on the best image quality, and thus for the moment has decided not to support cameras for which it cannot provide results that perfectly fulfill this criterion...."
13 Do you want in-camera TIFF output?